BenjaminRainey.com is the location for updates on the ministry, life, and learnings of the author, Benjamin Rainey. 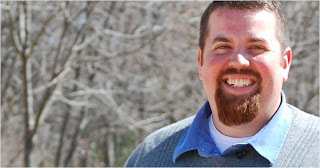 Benjamin is pastor of Christ Fellowship Church in Silver Spring, MD. He is an ordained minister, and has been involved in local church ministry for more than 12 years. His background in ministry includes experience in church music, preaching, training, and leadership. He is a nationally certified Church Planting (new church start-up) Assessor, and serves the Potomac District of the Assemblies of God as Assessment Coordinator. Additionally, he serves on a national team that works with training and improving assessments nationwide. Benjamin is the father of three, and the husband of one. (And he'd like to keep it that way!) Benjamin married Corie in 2001, and they have enjoyed sharing their lives with Sydney, Ellie Mae, and Carson Rainey. Their family enjoys family game nights, swimming in the summer, and spending time with grandparents.